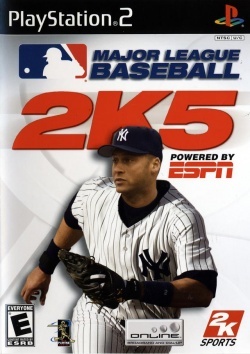 Game description: Major League Baseball 2K5 debuts On Command Baserunning, that includes active picture-in-picture baserunning, and new gameplay features called Maximum Sliding and Baseburner Mode. Active picture-in-picture baserunning delivers both an exciting presentation style and an intuitive method to precisely control runners. The new baserunning mechanic utilizes the right analog thumbstick to choose how baserunners slide -- head or feet first -- in conjunction with hook sliding left or right of the base. Players will be able to reach a base quicker, get up more quickly from a slide, or avoid being tagged out with the new freedom found in Maximum Sliding. Baseburner Mode allows the gamer to play any 'at-bat' through the perspective of any baserunner, delivering precision control to gamers.